The Free State of Saxony (Sachsen) is a landlocked state of Germany, bordering Brandenburg, Saxony Anhalt, Thuringia, Bavaria, the Czech Republic and Poland. It is the tenth-largest German state in area, with 18,413 square kilometers, and the sixth most-populous (4.3 million) of Germany's sixteen states. Located in the middle of an erstwhile German-speaking part of Europe, the history of the state of Saxony spans more than a millennium. It has been a medieval duchy, an electorate of the Holy Roman Empire, a kingdom, a republic from 1918 to 1952 and then again from 1990. Saxony consists of a total of 485 politically independent municipalities, 178 cities including three county-level cities and 50 major district towns, and 307 non-urban communities. The largest cities are Leipzig and Dresden, followed by Chemnitz, and Zwickau. Saxony’s capital is Dresden. Saxony has a rich history, and can look back on more than 1,000 years of cultural tradition. There are over 500 museums in Saxony's holiday regions, towns and cities. Famous attractions such as the Semper Opera House, the Church of Our Lady and Zwinger Palace in Dresden, the Battle of the Nations monument in Leipzig and Moritzburg Palace are prominent emblems of the Free State of Saxony. Above all it is Saxony's exquisite artistic and cultural heritage that is appreciated by visitors from around the world. Music festivals, plays and internationally acclaimed art collections dominate culture in Saxony. The region's musical heritage is associated with venues such as the Semper Opera House in Dresden, the Gewandhaus concert hall in Leipzig and the theatre in Chemnitz and also with the names of famous composers such as Johann Sebastian Bach, Richard Wagner, Robert Schumann and Carl Maria von Weber. St. Thomas's choir, Dresden's Kreuzchor boys' choir, Leipzig's Gewandhaus Orchestra and the Dresden State Orchestra are among the world's most famous ensembles. Some of Saxony's towns and cities can boast market squares that are up to 1,000 years old, many more have an impressive architectural heritage and vibrant cultural life. Saxony's international reputation is also founded on its rich craftwork traditions, including wood carving in the Erzgebirge Mountains, musical instrument making in the Vogtland, Meissen porcelain, Plauen lace and Glashütte watches. Saxony is family friendly: many hotels, guesthouses, holiday homes and leisure attractions have adapted to the requirements of families with children, ensuring carefree and varied family holidays. Cyclists and walkers, hikers, mountain bikers and motorcycle riders are all well catered for in the hills of Saxony, as are winter sports enthusiasts. Saxony also offers excellent opportunities for spa treatments and health and wellness breaks in its long-established spas and health resorts. Cooking in the German state of Saxony (Sachsen) is a melting pot of the cooking traditions of the numerous regions that make up the state: Ore Mountain region (Erzgebirge), Lusatia (Lausitz), Saxon Switzerland (Sächsische Schweiz), Elbauen, Vogtland, etc. Meals are hearty with a variety of sauces, creative, trendy, and diverse. The cooking here is also influenced by its history. In the flourishing cities of Dresden and Leipzig, recipes have been influenced by access to luxurious and extravagant ingredients. Likewise, in the Ore Mountain region (Erzgebirge), historically a very poor region, residents had to make due with basic, inexpensive ingredients, such as potatoes, quark, and flax seed. As a result, a great variety of foods and dishes are considered Saxon. A very important tradition in Saxony is coffee and cake. It was in Leipzig that the first coffee bar in Germany was opened. The Saxons were the first in Germany to add cake to their coffee drinking - a tradition that has spread throughout Germany and has become part of its culture. Also found in Saxony is a great variety of cakes, pastries, and baked goods. Saxony has a huge beer tradition. The most well-known beers of the region are "Radeberger" and "Wernesgrüner." Many beers from the state are exported to countries around the world. Saxony has, after Saxony-Anhalt, the most vibrant economy among the federal states of the former GDR. Its economy grew by 1.9% in 2010. The eastern part of Germany, excluding Berlin, qualifies as an "Objective 1" development-region within the European Union, and is eligible to receive investment subsidies of up to 30% until 2013. FutureSAX, a business plan competition and entrepreneurial support organization, has been in operation since 2002. Microchip makers near Dresden have given the region a nickname of "Silicon Saxony". The publishing and porcelain industries of the region are well known, although their contributions to the regional economy are not significant. The state government is attempting to develop tourism, notably in the lake district of Lausitz. The Leipzig area, which until recently was among the regions with the highest unemployment rate, could benefit greatly from the investments of Porsche and BMW. With the VW Phaeton factory in Dresden, and many part suppliers, the car industry has again become one of the pillars of the Saxon industry as it was in the early 20th century. Zwickau is another major Volkswagen location. 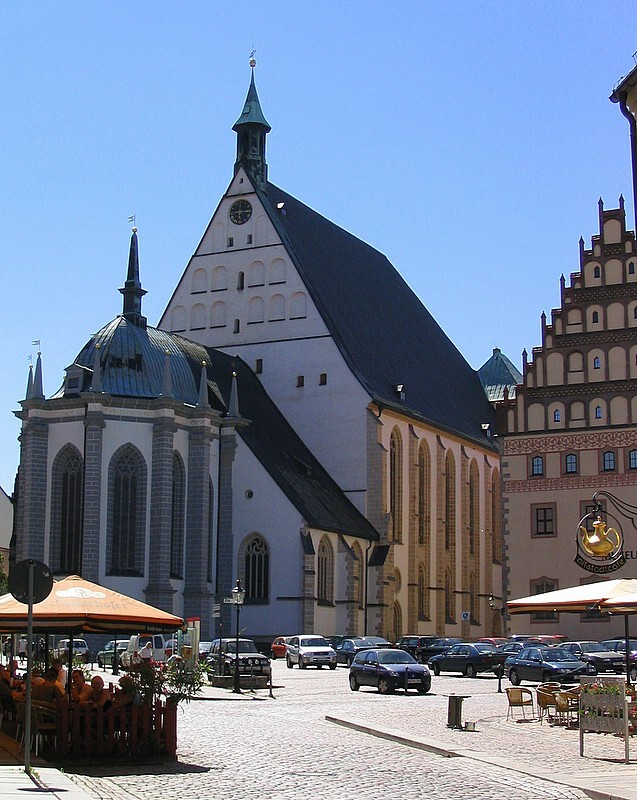 Freiberg, the former mining city, has emerged as a foremost location for solar technology. Dresden and some other regions play a leading role in some areas of international biotechnology, such as electronic bioengineering. While these high-tech sectors do not yet offer a large number of jobs, they have stopped or even reversed the brain drain that was occurring up until a few years ago in many parts of Saxony. Regional universities have strengthened their positions by partnering with local industries. Unlike smaller towns, Dresden and Leipzig now have a significant growth in population. Except for Dresden and Leipzig, Saxony is not a primary destination for foreign tourists. Areas along the border with the Czech Republic, such as the Lusatian Mountains, Ore Mountains, Saxon Switzerland, and Vogtland, attract significant visitors, largely Germans. Saxony has well preserved historic towns such as Meissen, Freiberg, Pirna, Bautzen and Görlitz.